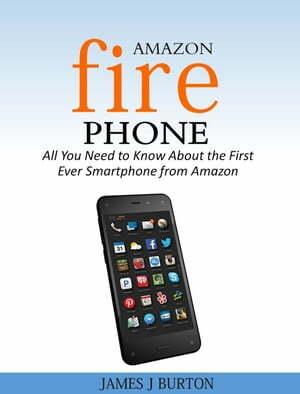 Collins Booksellers - Amazon Fire Phone All You Need to Know About the First Ever Smartphone from Amazon by James J Burton, 9781519917034. Buy this book online. In this advanced era, we, the consumers, want a Smartphone that keeps surprising us with new and unique features that helps in enriching and improving our Smartphone experience. Is it any surprise that Amazon wanted a taste of the market, now that it has conquered the digital retail market? Amazon, is one of the most widely used online shopping websites as well as a name that people trust for most of their online shopping needs. The Amazon website is a world on its own, with millions of products based on every customer need. It is not only that it has millions of products to choose from but it also caters to millions of customers. It has become the first stop for most people’s virtual needs. They have managed to acquire this trust and built a digital empire by providing excellent services and products that are delivered on time along with amazing after-sales services. Indeed when one deals with a million and more customers spread all over the world, one learns all there is to learn about consumer demand and on-time supply. Amazon gathered their information and inspiration from the large market it handle; therefore, ‘the result of ‘The Amazon Fire Phone’ has features that are actually quite unique and have never been seen before in any Smartphone. Amazon is already an expert in providing a range of foolproof services. Now let’s take a look at what kind of features it has in store for the Amazon Fire Phone users.